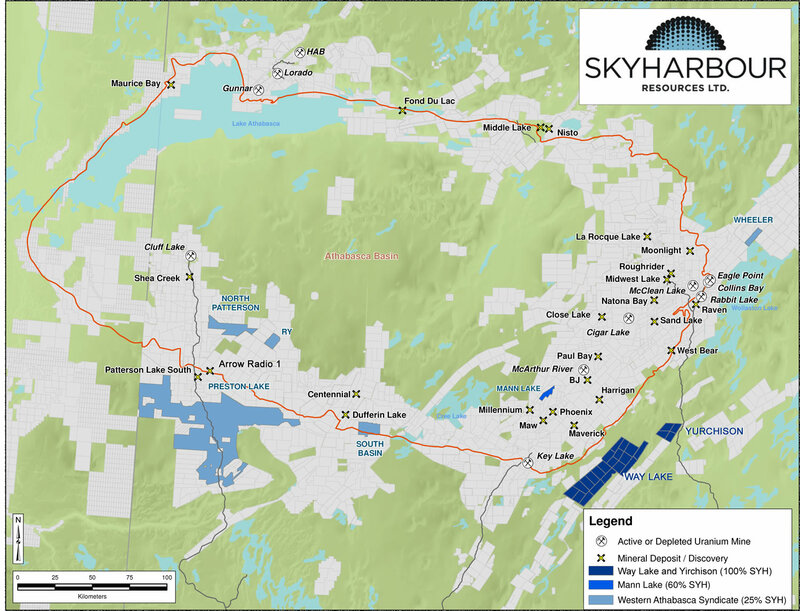 Vancouver, BC - Skyharbour Resources Ltd. (TSX-V: SYH) (OTC Grey: SYHBF) (Frankfurt: SC1N) (the “Company”) is pleased to announce that further to its news releases dated June 18, 2015, it has closed its non-brokered private placement to raise gross flow-through proceeds of $305,500 and has issued 6,110,000 Flow-Through Units at a subscription price of $0.05. Each unit consists of one flow-through common share and one non-transferable share purchase warrant exercisable into one non flow-through share for a period of five years at an exercise price of $0.10 per share. The shares issued under the private placement and any shares issued pursuant to the exercise of the warrants are subject to a four month and one day hold period under applicable securities laws and imposed by the TSX Venture Exchange.